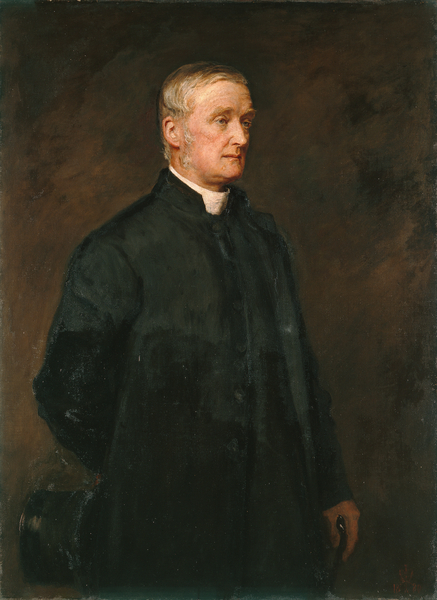 Three-quarter length, three-quarter right side portrait of James Fraser, Lord Bishop of Manchester. He is standing dressed in black with a white dog-collar, his top hat carried in his right hand behind his back, and a stick in his left hand. There is a plain dark background.